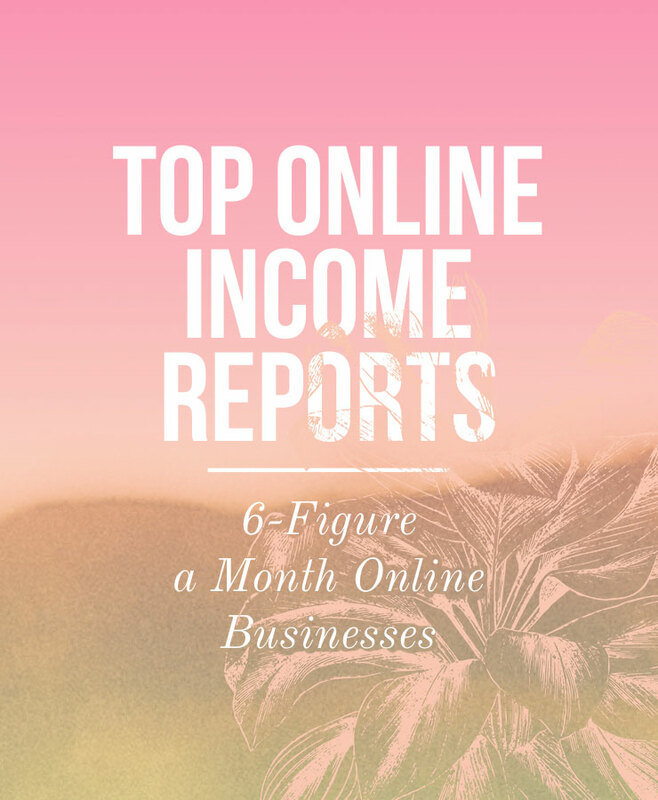 You can learn a ton from an online business income report! I can see the puzzled look on your face. You’re thinking, Nache’, how are you able to see someone’s income report. 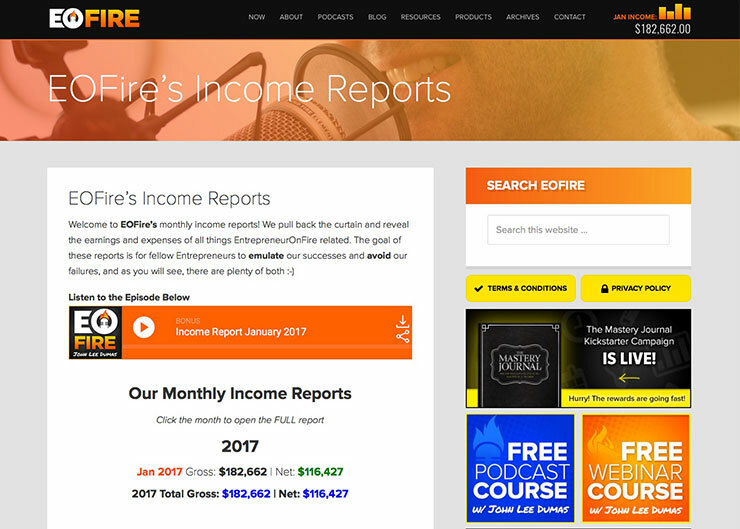 Several amazing online businesses post their income reports for FREE on their website to help their subscribers understand how they are generating income. By doing this they also prove that it is possible to support yourself with an online business. Since their reports are so popular, they are also able to promote their newsletter, products and affiliate links (genius!). So how do I use income reports? I look at what line items are grossing them steady income month after month. I also examine their expense section because we all know net and gross are two different things. Additionally, the reports also give me a window into what they’ve decided to invest in, to include tools they value the most and staffing. Affiliate links – I’ve already started to sign up for affiliate programs for some of my favorite products and tools which you can find within my Resource Guides. 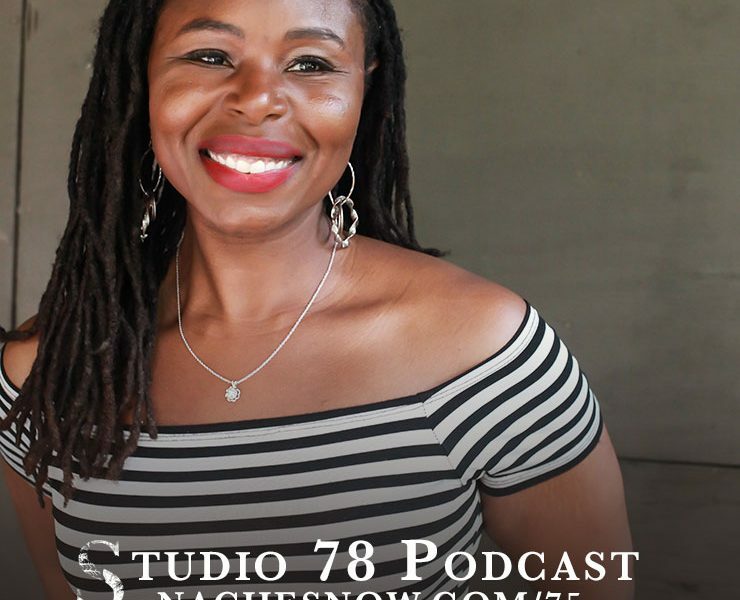 Sponsors – Once the Studio 78 Podcast gains in popularity I will begin pitching sponsors. Courses – I’ve created a free course, Inbox Zero, to test the waters. I plan to create a paid course soon. In the meantime, I’ve decided to coach a limited number of people on how to publish their passion online. Book – This usually doesn’t make a ton of money (unless you’re crazy popular), but it helps build credibility. I buckled down and create an almost 200-page journal called The Life Cleanse. 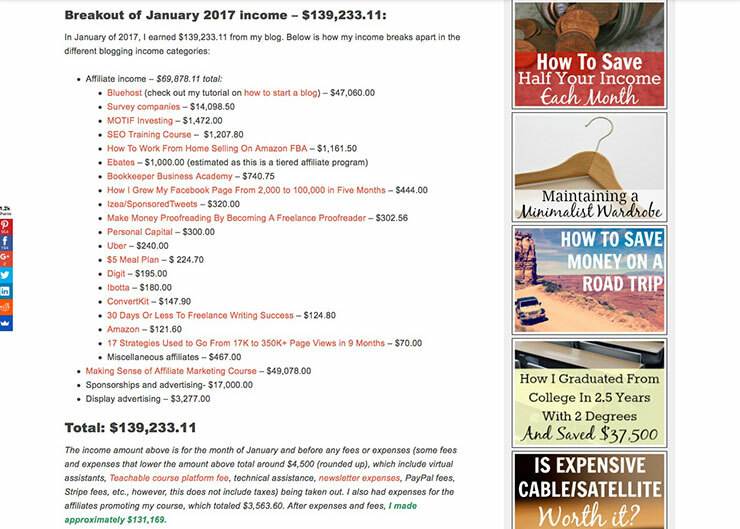 Expenses – This allows you to learn what it takes to run a 6-figure business: staffing, ads, software, etc. Web traffic – Learn how much traffic it really takes to make thousands of dollars a month. Affiliate marketing – Discover what ad networks and companies they prefer to work with and which ones bring in the most money. Sponsors – Learn how much money can be made with a sponsored post or podcast episodes. Software – You’ll start to see a theme as you go through these reports. Go with the trusted software. Give back – Several of them give to charities. Learn why that’s important to them. 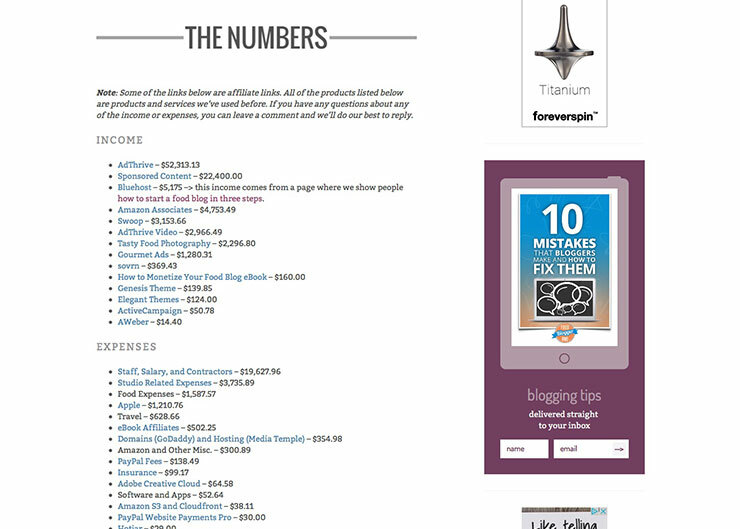 Lessons learned – Don’t jump to the numbers read the entire report. They give some really good practical advice. So let’s get to it. There are a ton of income reports out there, but I’ve chosen ones I trust. John Lee Dumas’ Entrepreneur on Fire podcast was the second podcast I started listening to years ago. The first being Serial. I devoured his first 50 episodes in like a month trying to soak up everything I could from successful entrepreneurs. Several years ago he decided to create a podcast that would deliver content EVERY DAY, crazy, I know. That’s an insane amount of work, but it paid off. He is now one of the most successful business podcasters in the industry. When you see his numbers your mouth will drop, but again, focus on the data. He recently launched a journal on Kickstarter that generated a ton of revenue. It gives me hope that my book idea could possibly generate income. 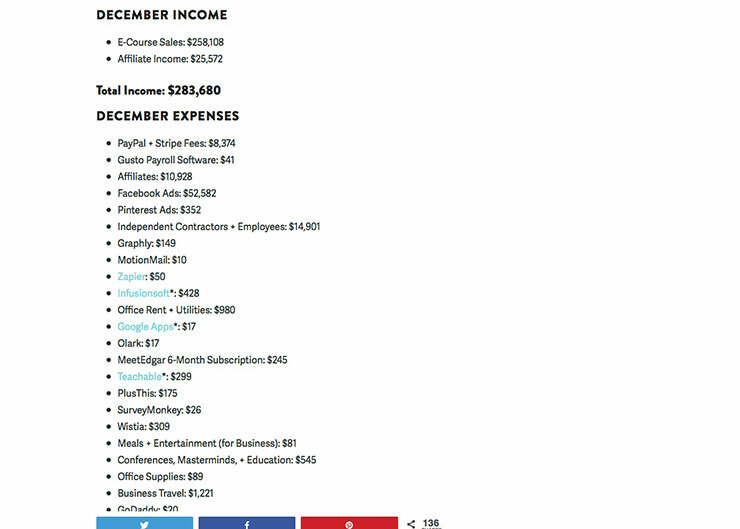 He also makes a ton of money off of affiliates (see a recurring theme). I recently discovered this blog, so I’m not as familiar with it. According to the site, Michelle was able to pay off 40k of debt by the income made from Making Sense of Cents. The blog helps people pay off debt and save. One thing I learned from her January 2017 report is that exposure is very important! Her awards and other mentions have helped her earn additional income. 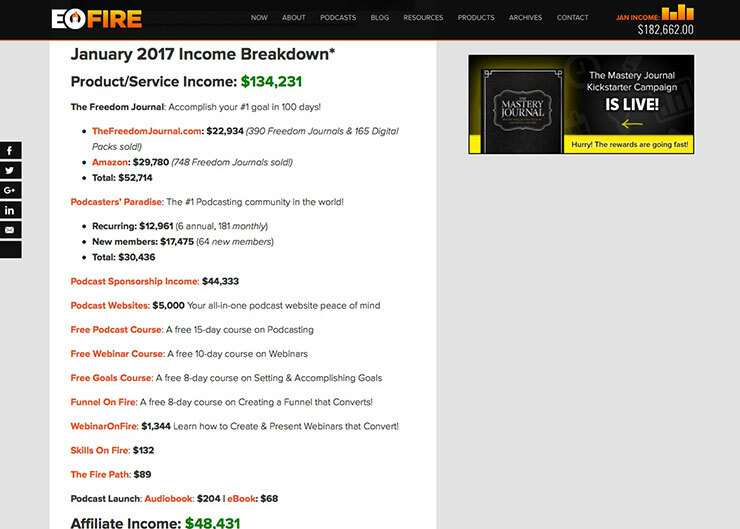 Pat Flynn of the Smart Passive Income podcast was one of the first bloggers/podcasters to share an income report. He makes a ridiculous amount of money but has worked hard over several years to become a leader in his industry. When you initially see his income reports you’ll probably say to yourself, I’ll never make that much a month. Stop comparing yourself to others, instead look at the data and figure out what he’s doing to make money. 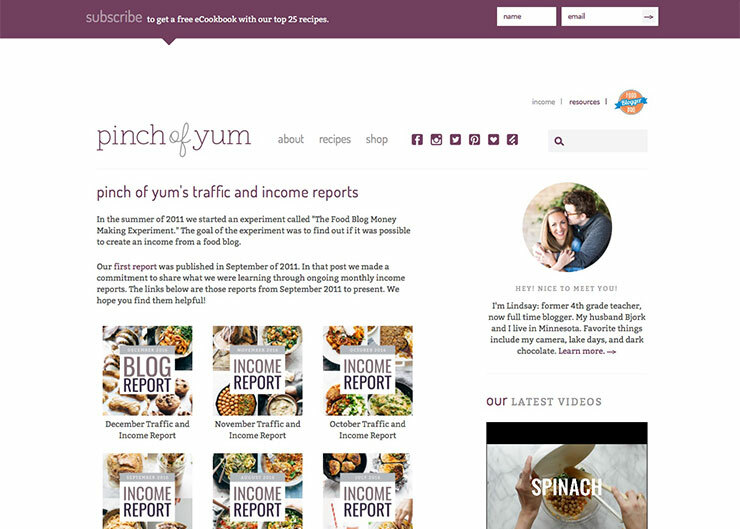 Pinch of Yum is a food blog started years ago by a 4th-grade teacher. She now does this full-time and couldn’t be happier. She serves two audiences, people looking for recipes and others who want to learn how to successfully become a food blogger. I started following Melyssa Griffin last year. I discovered her on Twitter and fell in love with her content. 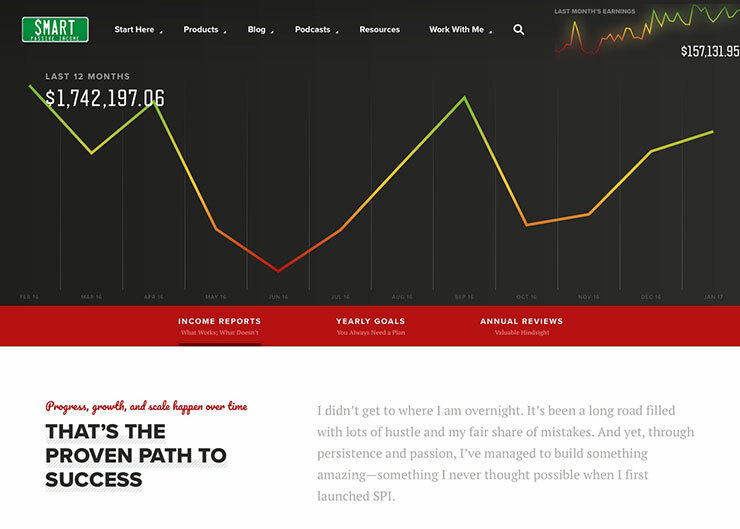 She decided to post her income reports to help others grow their business online. Melyssa makes a ton of money from course sales. 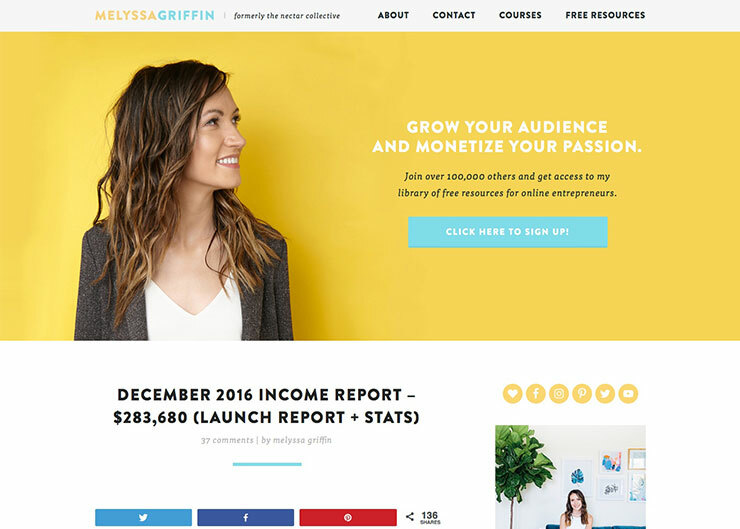 Her courses mainly focus on social media strategy. 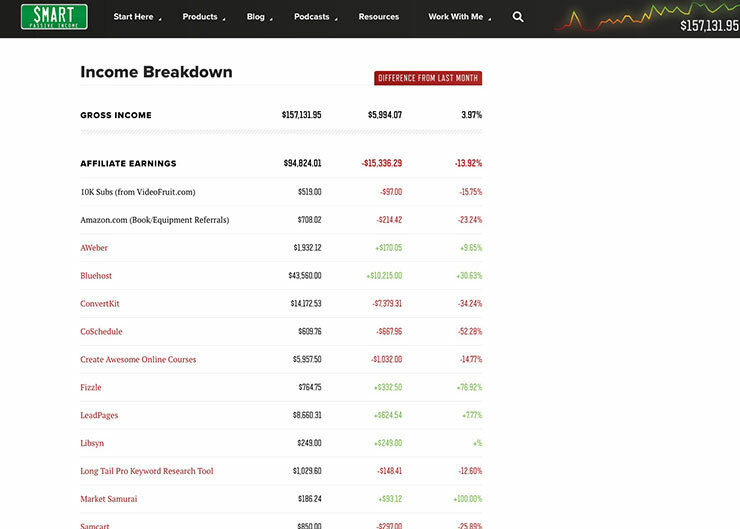 As you’re looking at her income reports also pay attention to her branding, it’s really good. She does a great job of making sure you know what she’s about and what to expect from her courses. It’s a Love Life – Actively creates income reports. I stumbled upon her blog on Pinterest. It’s a family business blog that makes money off of affiliate links and courses. 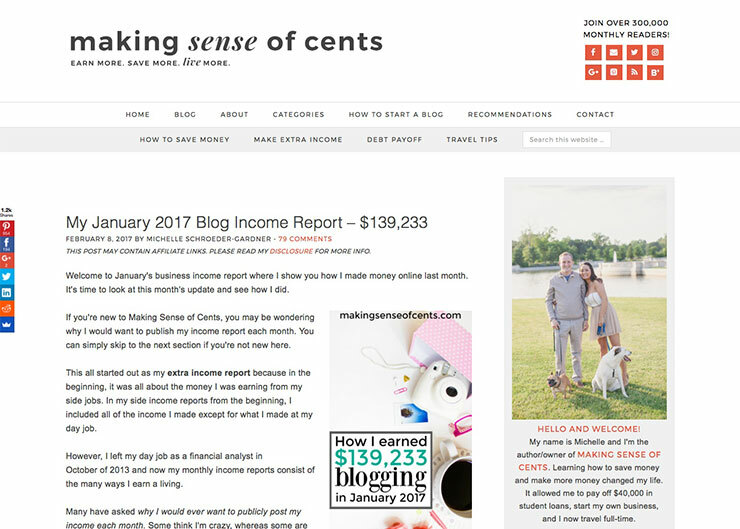 Just a Girl and Her Blog – Last income report was December 2016. They’ve chosen not to do them anymore, but you can learn from their past ones (3 years worth). 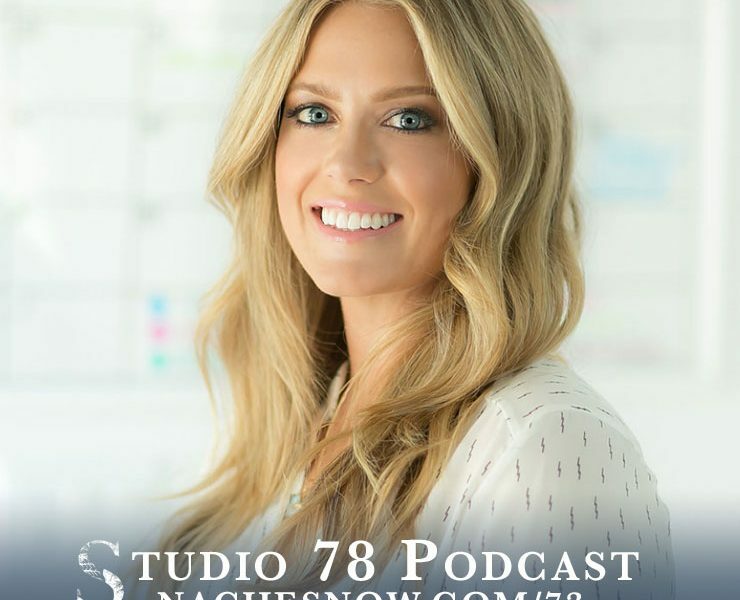 Her blog focuses on home projects. XO Sarah – She doesn’t do monthly income reports, but the link will take you to an article she wrote about going from 3k per month to 12k. 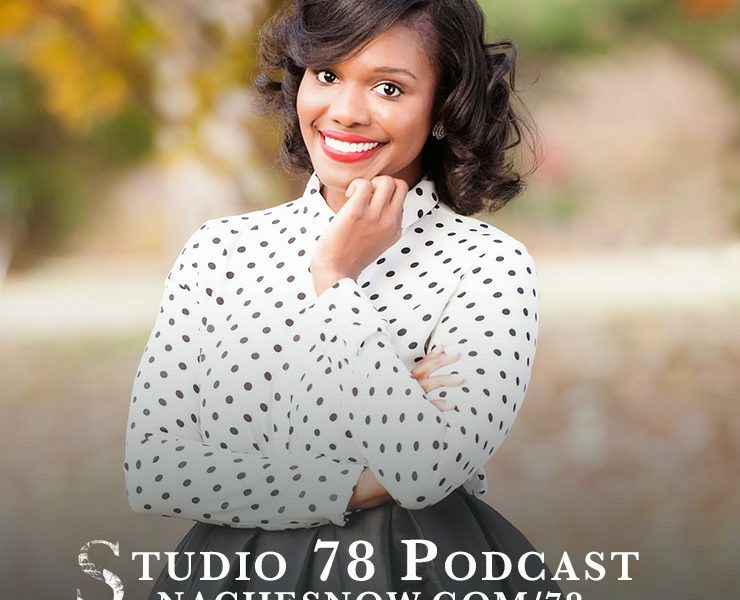 Her brand focuses on providing people with blog strategies. Thoughts? Did I miss anyone? *Images are screenshots taken from relevant sites.